Countless artists have paid tribute to the late David Bowie since his death earlier this month (January 10). The latest celebrity to join the ranks in honoring the larger-than-life figure is Miguel, who put his own spin on one of Bowie's most recognizable tracks, "Space Oddity." Miguel took the stage at Los Angeles club Bardot last night (January 25), where he played an acoustic set to a small crowd. Accompanied solely by a guitar, Miguel launched into his own version of “Space Oddity,” lending his rich, warm vocals to the track in what was a largely faithful (but still fantastic) cover. He then seamlessly transitioned into his own song “waves,” from his 2015 album Wildheart. Miguel expressed his love for the Bowie track back in October during an interview with NME. He said, “I wish I would’ve written ‘Space Oddity’ by David Bowie. That song is just forever gonna be a classic, you know? At the time…are you kidding me? We were just going to the moon? It’s just insane, the timing of it." Bowie, a truly prolific and ever-evolving artist, passed away on January 10 after a long battle with cancer. In a fitting send-off, Belgian astronomers paid tribute to the late musician by gifting him his own constellation. 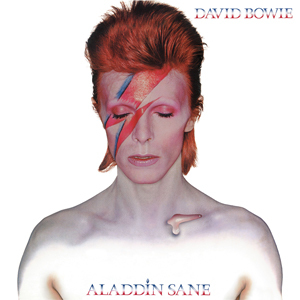 The grouping of those stars point toward Mars and form the shape of a lightning bolt, an attempt to pay tribute to the cover of Bowie’s 1973 album Aladdin Sane. Check out Miguel's cover of the classic Bowie track in the video above.